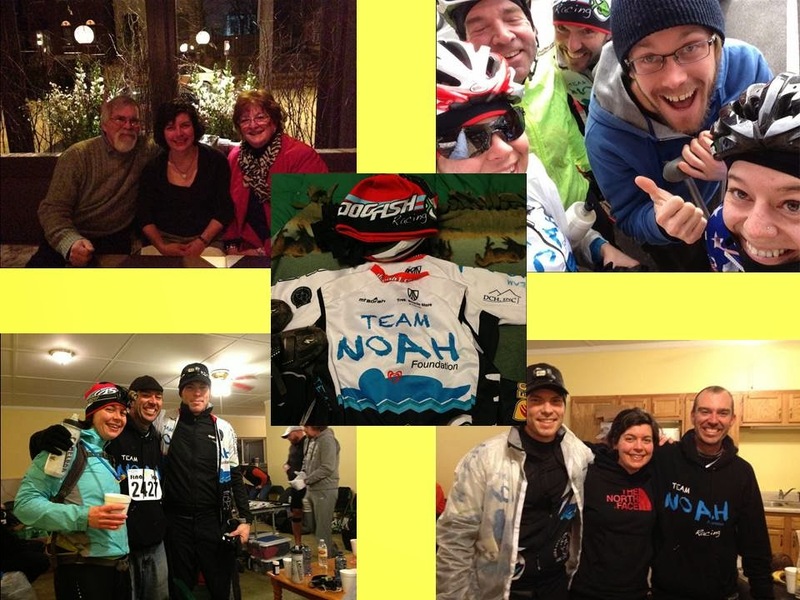 If you haven't heard, I turned 30 on 29-Jan and wanted to celebrate by doing 30 hours of outdoor activity, and also raise $3,000 for the Team Noah Foundation. The plan was to ride for 9hrs on Day 1 (Thursday), then run for 12hrs on Day 2 (Friday night), and then ride another 9hrs on Day 3 (Sunday). Day 1 went super well and you can read about it here. Day 2, well technically Night 2, also went super well and you can read about it here. On Saturday morning I finally got myself home around 11am, showered, ate, took a nap, then picked up Maria to drive over to Laura's house for a delicious meat dinner. I had a pork steak, garnished with pulled pork. And roasted veggies. And salad. And a s'mores lava cake that Maria ordered. And Reese's rice krispie treats. It was all so yummy, thanks Laura! time to wash the dishes! On the way home from dinner, Maria started reading me weather forecasts for the next day, Sunday, the last day of my Epic Birthday Adventure. 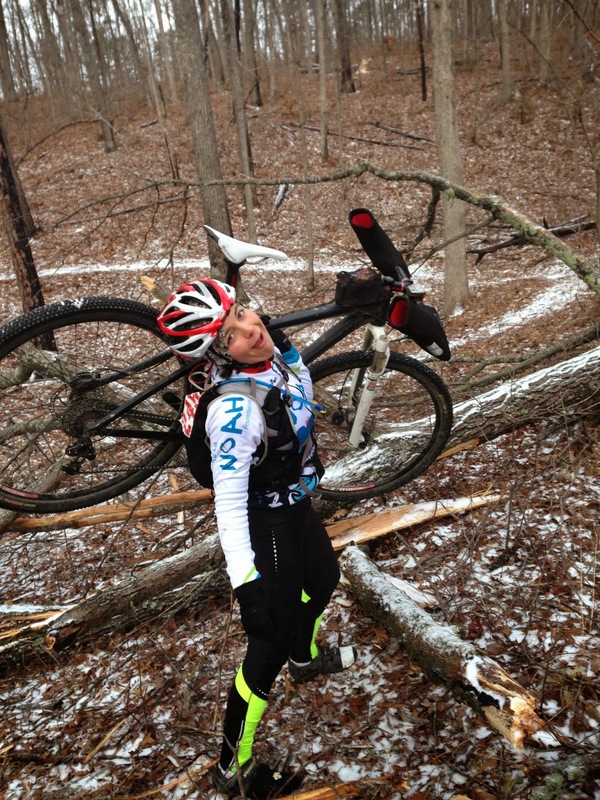 Things didn't really look that great for spending a day on mountain bikes. 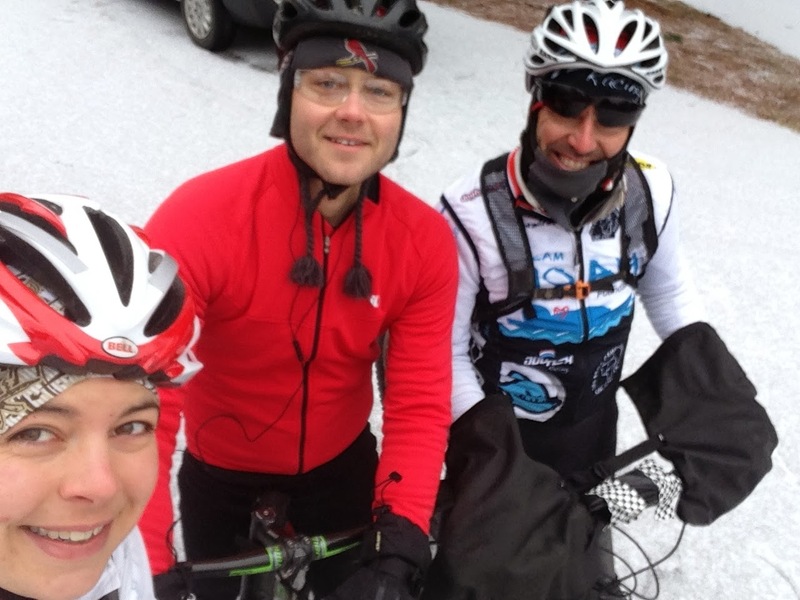 Saturday's freezing rain had soaked much of the area singletrack, and Sunday's forecast was a high of 25F, and road conditions were supposed to ice up overnight. Ugh. 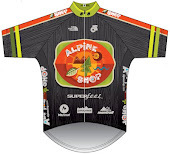 I'm going to be honest with you - I really, REALLY wanted to bail on Sunday's ride. I made up a bunch of excuses in my mind about the weather, my tired body, treacherous travel conditions, my toe, etc. Then I told myself I could re-ride the 9 hours the following weekend. I didn't even pack my mountain bike stuff up when I got home on Saturday night. I just told Dwayne and Hunter that I'd text them in the morning when we had a better idea of the weather and road conditions. My alarm went off Sunday morning EARLY, way too early, and first thing I did was check the weather. It really hadn't changed since last night's forecast. Still cold and icy. But Dwayne and Hunter were still committed, so I reluctantly packed up my stuff and hit the road down to Berryman, albeit about 1hr behind schedule. Roads were surprisingly good and I spent the whole drive giving myself a big pep talk for the day's ride. We were planning to ride a Double Berryman, and I was really nervous about the whole thing. Cold temperatures, fatigue, I haven't been on the SegSlayer in a long time, plus I still had AR tires mounted which don't always give the best traction on gnarly singletrack, plus it was probably icy and slippery to begin with, etc etc etc. But when I rolled into Berryman Campground, and saw Hunter there all ready to ride, I knew that we would get through the day. Dwayne drove up shortly after and we all commiserated about Aerie's soreness and the impending pain that only a Double Berryman can bring. Plus, we got a special send-off from resident dog Sammy and one of her doggy friends! This TOTALLY made my morning. I love dogs. We roll out from Berryman Campground, me in the lead on the SegSlayer, Hunter next with his newish Kona singlespeed, and Dwayne on a custom Walker Bikes semi-fat bike. I am really feeling the fatigue from Aerie's in my legs, and we definitely are not setting any speed records. But the snow-covered trail is surprisingly grippy, even on my AR tires. And Dwayne keeps the positive mojo flowing with his happy chat. We stop a couple times to clear the trail of downed branches, and for me to put a foot down on some tricky tech sections, but overall we just ride. And since I'm in the lead, it's a very conservative pace for both of the boys, but they graciously put up with it. My legs finally start coming around once we pass the Harmon Spring re-route, and the rest of the loop is a blast. Still slow, mind you, but with plenty of time to get advice from Dwayne about certain sections. Riding with such an experienced mountain biker is INVALUABLE for a newer rider like me, and Dwayne is exceedingly generous with his encouragement. After we pass Brazil Creek, my energy starts fading a bit, and I spend some extra time trying to get my hydration hose unfrozen. The unrelenting climbs of this section really wear on me and after one particularly hard grunt, I put a foot down and say "Guys, I'm tired." As soon as the words are out of my mouth I feel like a wimp. I don't like admitting weakness, and the kind of tired that I am is all in my head. I know my legs can get me through this, I know my bike can get me through this, but my mind has started to waver. This is not good. I realize my struggle, eat a couple hundred calories, and re-focus my efforts on getting back to my car where more delicious food awaits. And Coke, the magic elixir that has brought me back from the darkest of places. We finally, FINALLY, roll into the parking lot and I make a beeline for my car. Coke, Oreos, Reese's, it all gets thrown down the hatch in an effort to perk up my mood. And it works! After a short break, we gather ourselves up for a second assault on The Berry Man. The sugar and caffeine has brought me back to happiness and I'm not bothered in the least at our sloth-like 3h44m first lap. After all, I'm just out here for time, and who cares if we can't pull down a sub-3hr lap. We haven't seen a soul out here, and that makes me feel pretty badass. I feel like I'm flying for the first 5-10 miles of trail. I'm riding slightly more aggressively now that I know my tires are good, and I've instituted a "no front brake" policy in an effort to carry moar speed through the downhills and switchbacks. Surprise, it's working! We make it as a group to a large downed tree that requires hike-a-bike, and Dwayne moans that his legs would be fine if they just didn't have to walk. Me pretending to be Dwayne "My poor leeeeeeeeeegs!" After the big tree, or maybe it was before, the boys go ahead of me and take off. Hunter's got fresh legs and a need for speed, and Dwayne can't help but chase after him. I am completely fine bringing up the rear as their gap gets larger and larger. I know that they will wait for me every so often, and I want everyone to have a good time out here, which doesn't mean sticking to my pace the whole time. The rest of the lap is pretty great. I feel slower, and use my granny ring much more, but somehow we're ticking through the miles at a faster pace than last lap. The boys wait for me at the final road crossing and we ride together to our cars with a 3h25m second lap. Success! Okay, it's not the full 9hr ride I was planning on, but anyone that's ridden a Double Berryman knows that this ride is no joke. This is my third completion, and the first in winter conditions, and every time this trail works me over. 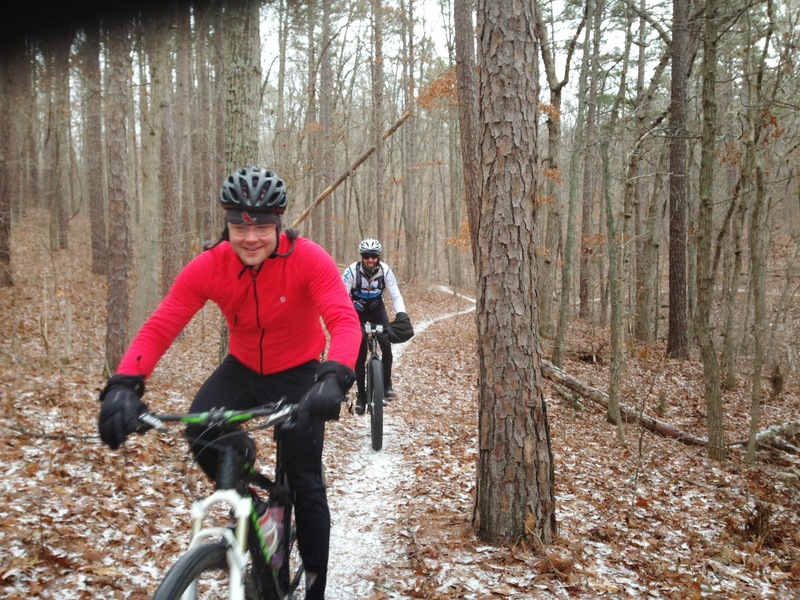 It is a manly, rugged piece of singletrack, and we are lucky to have it within a day's drive from St. Louis. I've trained it, raced it, ran it, rode it, been blissfully happy, cried desperate tears, been so angry I wanted to scream at the trees, been fearful, exhausted, pretty much every emotion a human can experience, the Berryman trail has put me through. And I keep coming back for more. And that's a wrap on Emily's Epic Birthday Adventure, at least the 2014 version. Final stats were: Day 1, 9hr ride/115mi, Day 2, 11hr run/40mi, Day 3, 7hr ride/50mi. I hope you've enjoyed reading about my adventures! I made plans to do most of this stuff by myself, and was totally surprised and thankful to have as much company as I did. And not just company, but exceedingly positive, encouraging, and RAD people came out to participate in all 3 days. I feel so lucky to have these types of friends and training buddies, that will look at a 12hr run, or a 24-degree day, and still say "I'm in." And thank you to my parents as well, for schlepping my stuff to/from the trail run, for baking me a complicated gingerbread birthday cake with egg nog frosting, for staying up all night just so that I could have a cup of hot noodles, and for encouraging me to dream big. IALYNMW! Not edited/filtered/enhanced in any way. 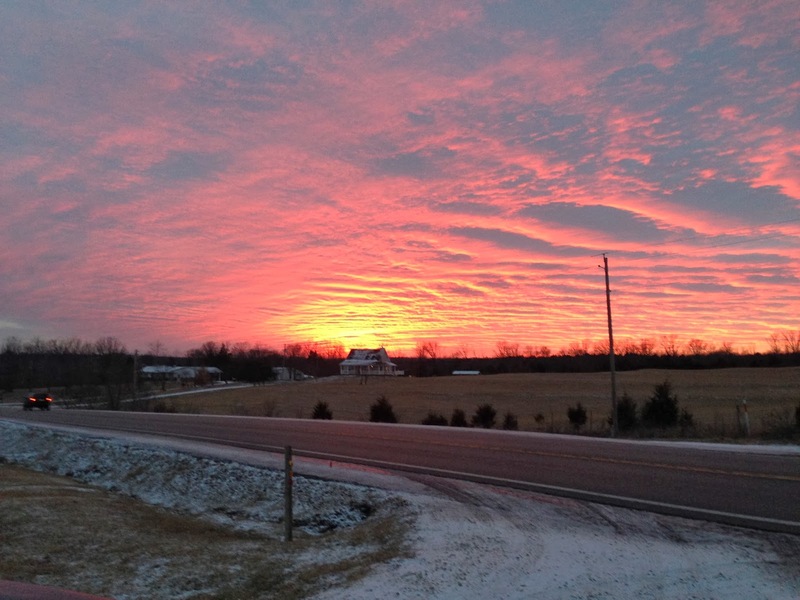 Just pure Missouri beauty. On the drive home from Berryman on Sunday. I was escorted by a radiant sunset. One of those moments where you have to stop the car, get out, and just soak it all up. It was magical, and such a satisfying ending to a really difficult weekend. This is the kind of thing that Team Noah is all about - going through really difficult challenges, be they on foot, on the bike, or just in your life, and finding beauty in the struggle. With the money we raise from this weekend, we're going to help the families of babies with congenital heart defects find their own beauty in their own struggles. Being strong for your sick child is an incredible challenge, and families deserve every chance they have to hold, snuggle, and care for their CHD baby. They need the Team Noah Foundation to help them keep the rest of their lives together, through insurance/housing/transportation/food/other financial assistance. So if you have a few extra dollars, please donate them here: http://www.plumfund.com/pf/teamnoah and look for a note regarding your new Dogfish T-shirt as a thank-you present. If you're short on funds, not to worry, I've been there too, just please share the link with your friends. The fundraiser will close on 7-Feb-14, so hurry up and get donating! Amazing job, Emily! I've never seen a group of athletes with as much heart as Team Noah. Keep busting it!